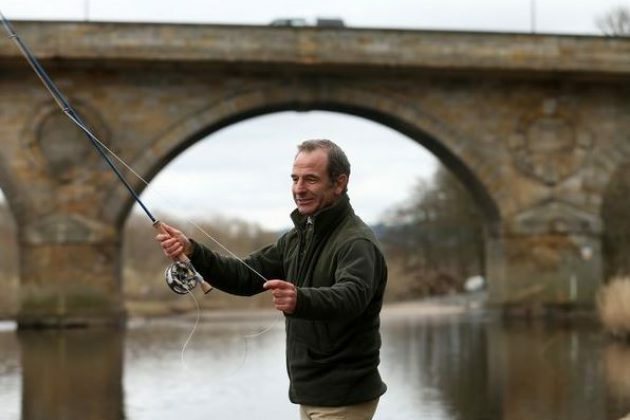 Actor and presenter Robson Green officially opened the Hexham Fish Pass and cast a line to mark the occasion. The pass was completed last year but officially opened on Tuesday to coincide with the time of year when spring salmon begin to ‘run’ the river using the fish pass to make their way upstream. It also coincides with the opening day of the brown trout fishing season. The fish pass is designed to make it easier for salmon and sea trout to migrate upstream to breed. Robson, 51, said: “It’s an honour to mark the opening of something which will help salmon and sea trout on their annual migration and ultimately improve what is the greatest salmon river in the country. Tyne Rivers Trust was the driving force behind the project which has taken more than ten years to come to fruition. Trust director said: “This opening marks many years of hard work and is testament to what can be achieved by several organisations working together. “There is a challenging leap for migrating salmon and sea trout at Hexham Bridge, too challenging for many fish especially in low water. 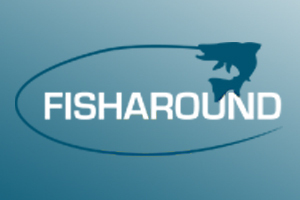 She added: “The fish pass gives migrating fish an alternative route by-passing the bridge footings to swim up two low-gradient channels to continue on their journey up the Tyne.